The Board Certified Doctors at the Baywood Clinic offer expert laser and light-based treatment for acne. Our goal is to prevent scarring and to help you control your acne with less, or no, medication. The Doctor will assess your skin to determine whether you are a good candidate, and if so, advise the most cost-effective treatment options. Get in touch today for an affordable Acne treatment! The treatment of acne using a laser has become incredibly popular in the past decade, and for good reason: acne laser treatment works extremely well. We use the SmoothBeam Laser in the treatment of adult, as well as adolescent acne. This state-of-the-art laser acne treatment, is effective in reducing the appearance of acne and future flare-ups. It is a safe and effective treatment that can help reduce outbreaks and make acne much more manageable. Smoothbeam is a non-invasive laser treatment, that does not burn or cut the skin. Instead, intense but gentle pulses of light are directed at the affected area, heating the oil glands (known as sebaceous glands in the medical community), effectively causing them to function in a new way that doesn’t produce acne flare-ups. The Smoothbeam laser also stimulates that production of collagen in the deeper layers of the skin, helping to reduce the appearance of acne scarring as well. If you are frustrated with your resistant acne, please come and visit us! We use several types of state-of-the-art lasers, including the SmoothBeam Laser and VBeam Laser systems, to treat acne and post-acne redness. The Doctor will assess your skin to determine whether you are a good candidate, and if so, advise the most cost-effective treatment options. If you suffer from acne, chances are that you’ve tried your fair share of lotions, creams, and “skin care systems.” You may have even tried some prescription acne treatments. However, there is also a pretty good chance that these products, whether prescription or over-the-counter, aren’t totally effective in the treatment of your acne. These products manage acne on the surface of the skin, and have to ability to penetrate to the root cause of acne, but may not make enough meaningful impact on your struggle with acne for clear skin. Acne is very prevalent among young females in their late teens, however, many young men are affected by acne as well. Though acne isn’t something that just affects teens. Many adults suffer from the effects of acne as well, well into their 50’s. Acne is caused by the overproduction of oil by the oil glands of the skin. While oil naturally helps lubricate the skin to retain its elasticity, sometimes this oil gets caught in the oil ducts and pores of the face, resulting in pimples, whiteheads, blackheads, and sometimes cysts. Mild acne can sometimes be treated with a strong skin care routine at home, but for many sufferers of acne, this alone is not enough to manage the appearance of acne. In these cases, we advise our patients to consider laser acne treatment. Please note that OHIP does not cover the consultation or laser treatment, and there is a $50.00 fee that is credited towards your treatment. How long does it take to see results from laser acne treatment? Patients generally see improvement within 6-8 weeks after their initial treatment. Multiple treatment sessions are usually required to maximally eliminate the appearance of acne and subsequent scarring. Is laser acne therapy painful? Most patients report minimal discomfort during their acne treatment. The Smoothbeam laser systems employs a Dynamic Cooling Device (DCD) that sprays short bursts of cryogen before and after each light pulse delivered to the skin to reduce inflammation and discomfort. For those that are particularly sensitive, a topical numbing agent may also be used. Is laser acne treatment appropriate for darker skin tones? 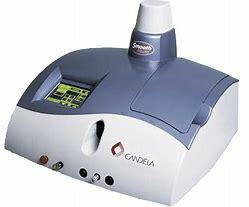 The areas of the skin treated by the laser may rarely experience temporary hyperpigmentation, resulting in a slight difference in skin color after the procedure has been completed. For those with with darker skin tones, we will perform a preliminary skin test to ensure that Smoothbeam will work properly for your skin type. We have treated hundreds of darker skinned patients with great success. Why choose the Baywood Clinic for laser acne treatment in Toronto? The Baywood Clinic has offered a variety of laser therapies for acne since 2001. Our Doctors are all licensed professionals, with 20 years experience using light-based therapy for acne. We have treated thousands of patients over the years, with different skin types and have enjoyed great success. Our approach, unlike some med-spas where you will never even meet a doctor, is purely medical. We do not upsell or attempt to sell you expensive products that are not scientifically proven. Our goal is to reduce the severity of your acne, and your outbreaks, so that it is easily manageable with less or no medication. The Clinic uses lasers exclusively for the treatment of acne, and we encourage patients to have tried other medical based therapies before visiting us. Your GP or dermatologist should have attempted the more conservative approaches (benzyl peroxide, antibiotics) before you consider using laser treatments for acne. 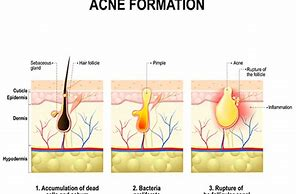 Acne is a skin condition which develops as your hair follicles get plugged by dead skin cells and the oils produced by these glands. Usually it is diagnosed by the presence of white- or blackheads and most often occurs on the face, back, and chest. Acne generally starts around puberty and resolves in the late teens, but it can start later. Some females complain of adult acne that starts around 20, and usually involves their chins and jaw. And some teenage acne persists into the 20’s or even 30’s. Many women get acne that can persist for decades, with flare-ups occurring just before menstruation. Usually this acne form tends to resolve without treatment if contraceptives are used. While any acne lesion can potentially lead to scarring, nodules and cysts require medical attention as soon as possible to avoid it. If Over the Counter medications, and a good hygiene program are not controlling your acne, please see your GP. The earlier you get control of your acne, the less the risk of scarring. For many teenagers, acne is an embarrassing and troubling concern, it can lead to depression and anxiety. It is important not to ignore these feelings but consult you physician to discuss them. Acne can not always be cured overnight, but it can be improved very quickly and over time it will resolve. Use a very gentle cleanser to wash problem areas. We recommend La Roche-Posay products that are very gentle and reasonably priced. Twice daily wash your face using your hands with water and a mild soap. If acne is a problem around your hairline, use a gentle shampoo daily; if you shave your skin use a very mild foam. Do not use facial scrubs, unless they are very gentle, just enough to mildly massage the skin. But if there is any lasting irritation, do not continue. Avoid face masks and excessive scrubbing as this can worsen your acne. Over the counter products are a good first step, but if your acne is worsening, especially if you develop cysts, consult your doctor. Benzoyl Peroxide products are a good start to dry the skin and get some gentle peeling. Don’t overpay; your pharmacist can suggest a good quality generic brand. These products can have initial side effects, like redness peeling and dryness, but this usually gets better within a few weeks. Try to use a non-oily sunscreen every day, especially if you are using any topical acne medication that makes burning more likely. Ask you doctor if sun is a good idea, it depends on the medication or products you are using. Try not to scratch and never pick your acne. This can lead to scarring! Shower and wash your skin after sports, exercise, or being out in the heat, since oil and sweat will cause more breakouts. Retinoid creams, gels and lotions, which are derived from vitamin A. These include tretinoin (Avita, Retin-A, others), adapalene (Differin) and tazarotene (Tazorac, Avage). Apply these topical medicines in the evening, three or four times a week, then, as you skin becomes used to them try it daily. Usually there is some redness and flaking at the start. These medicines plug up the hair follicles. These kill bacteria in the skin and reduce redness. Usually these are combined with benzoyl peroxide to help dry the skin and prevent antibiotic resistance. Often, doctors will prescribe both Retinoid and antibiotic for the first few months of your treatment, as the combination is particularly effected. You apply the retinoid in the morning and the antibiotic at night until the acne is controlled and then drop the antibiotic if there are no further flare ups. Combined oral contraceptives. There are several approved oral contraceptives for acne therapy that can be used by women who also want them for contraception. They combine estrogen and progestin; benefits may not be obvious for a few months, so its best to be suing other acne medication until they start to work. Side effects include weight gain, breast tenderness and sometimes nausea, and a potential serious complication can be slightly increased chance of blood clots. Accutane is a powerful medication that is usually only used in the most resistant cases and requires careful monitoring by your doctor. Pregnancy must be avoided if a female takes this drug as it can lead to serious birth defects in the fetus. At the Baywood Acne Clinic in Toronto, we use a variety of light-based treatments to combat your acne problems. 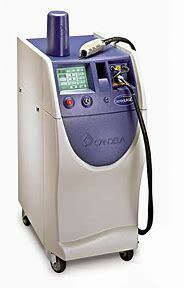 One such laser is a diode laser called the SmoothBeam what we have used effectively for almost 15 years. It is particularly effective treated adult onset and cystic acne. The Smoothbeam laser is approved by Health Canada for treating active acne as well as acne scars and fine lines. Some medical studies demonstrate up to 90% improvement with 4-5 treatments for acne. Results can remain at least 18 months in most patient, though often we do a maintenance session every 6-12 months. Everyone’s acne is different of course, and your results may vary. Acne scars can also be successfully treated, depending on the type; in some cases, we see 30-40% improvement after 4-5 sessions with the SmoothBeam alone, although we often combine it with VBeam Pulsed Dye laser treatment as well. How does the SmoothBeam work? 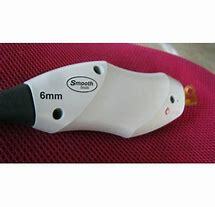 The SmoothBeam is a diode laser with a 1450nm wavelength. This wavelength targets the sebaceous glands deep in your skin, and damages them so that they do not produce as much sebum, which is one of the causes of active acne. This is somewhat like the medication Accutane, but without the bothersome side effects. This wavelength also targets water deep in the dermis and by heating it stimulates the production of collagen. Since sebaceous glands also contain water, this wavelength specifically and helps to deactivate them which causes a reduction in their activity. Since less oil is produced, there is a corresponding reduction in the level of acne. 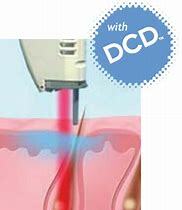 The surface layer of your skin, or the epidermis, is protected from the laser head by the DCD or Dynamic Cooling device, a patented technology. This sprays a cooling mist onto your skin to reduce any discomfort and protects against over-heating and any possible complications. DOES SmoothBeam treatment hurt? What is it like? Before the doctors begin your treatment, they will apply Maxilene Cream, a powerful topical freezing agent, to the areas that will be lasered. We have used this anesthetic for 20 years on everything from laser tattoo removal to laser hair removal. The Maxilene greatly educes any discomfort you might experience. Most patients describe the sensation as that of small rubber bands or sparks on the face that are quite tolerable. After the treatment any discomfort subsides, and patients leave feeling fine. Every pulse of the SmoothBeam is 6mm or about the size of a small eraser on the end of a pencil. After treatment for your acne, your skin may have a reddish tone, and there may be some slight swelling in certain spots. Typically, after we ice the skin any swelling subsides quite quickly, but the redness may last a couple of hours. In almost every case by the next morning you are back to normal and able to carry on with your day to day activities. Small blisters or prolonged swelling is very rare, occurring in less than 1% of patients we treat, and usually resolving within a few days. 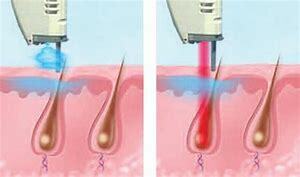 Complications with the Smoothbeam laser are unusual in laser acne treatment. In less than 5% of cases there may be a few spots of skin darkening (called hyperpigmentation) that is easily treated with bleaching cream and almost always fades within a few weeks. It is important to stay out of the sun during the treatment period for your acne, so we do recommend pausing during the hottest summer months or for a weeks before and after any sunny vacation. Using a 60 SPF sunscreen is important during your acne treatments. Scarring and lightening of the skin is extremely rare, and we have never seen it in thousands of treatments since 2001. Acne Treatment with the SmoothBeam laser is not indicated for patients who are pregnant, breast-feeding, or have taken Accutane (used for severe acne) within the previous 6 months. Patients with olive or darker skin are still suitable candidates for treatments with the SmoothBeam. But since these skin types are more prone to hyperpigmentation or skin darkening, we compensate by being more conservative with the laser energy. Also, it is better to treat darker skin types in the Winter months and to use an SPF sunscreen of 60 or higher during treatment. The SmoothBeam and Acne Scars. The SmoothBeam laser may also be effective in treating atrophic (indented) acne scars and in rejuvenation of the skin by softening wrinkles. The laser causes a mild thermal injury to the dermis and this allows for new collagen production that can lift atrophic acne scars and improve skin texture. Typically, 4-6 sessions are required, and we have seen some quite good results over the years. The VBeam Pulsed Dye Laser and acne treatment. The other major laser used at the Baywood Clinic for the treatment of acne is the VBeam Pulsed Dye laser https://baylaser.ca/toronto-rosacea/ This a 585nm wavelength Pulsed Dye laser that is used in major University Teaching Hospitals worldwide primarily for Rosacea. But it is also an excellent choice for an acne treatment plan. Whereas the SmoothBeam primarily targets sebaceous glands, The VBeam helps destroy the other main cause of acne, which is the bacterium Propionibacterium acnes (p. acnes). It does this by targeting one of the metabolites that the bacteria produce, called porphyrins. We often combine both the SmoothBeam and the VBeam into one treatment plan. Sometimes we use the lasers both on the same day, and sometimes we alternate them on different visits. This depends on the stage and type of your acne. The other main advantage of the VBeam is that it can reduce the risk of acne scarring. It has long been used for post-surgical scarring with excellent results. In the case of acne, after lesions heal there is often post-acne redness, or a blotchy red spot where the lesion was. This can develop into a scar if untreated. The VBeam helps to heal these post-acne spots, preventing scarring, and returning your skin to a normal texture much sooner. Many of our Asian patients have benefitted from this treatment, since Asian skin tends to be more prone to post-acne redness.